European producer of camera filters "84.5mm / 100mm camera filters" presents new series of filer sets aimed for Summer outdoor photography. European producer of camera filters, company 84.5mm / 100mm camera filters presents new series of filer sets aimed for Summer outdoor photography in both filter wides: Ultimate line 100mm and Professional / Classic line 84.5mm. Filters are fully compatible with all other standard brands and 3rd party filter holders. Filters are designed mainly for outdoor, landscape, sports, architecture and fashion photography. Filters of brand 84.5mm / 100mm are universally compatible to fit square holder filter type P "84 to 85 mm" or Z type holders “100mm”. 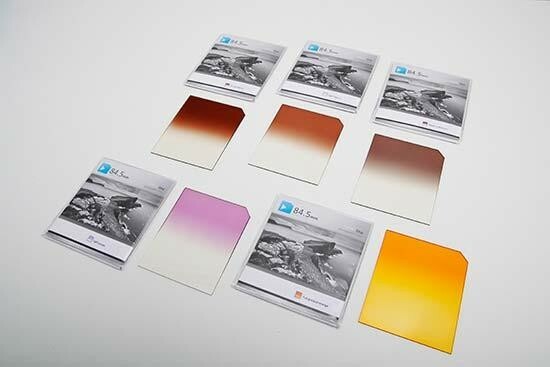 Ultimate line, Professional and Classic line filters are manufactured, similar as <="" span="">most established brands of “organic glass” material CR-39, which has exceptional optical and mechanical properties - <="" span=""> is normally used for production of lightweight dioptric glasses or cockpits of combat aircraft and has exceptional scratch resistance and also optical properties very similar to <="" span="">glass (Light transmittance, Refractive index, Abbe number, etc.). To ensure, <="" span="">precision and control are all 84.5mm/100mm filters made by hand in majority of production stages! Each filter is tested visually, as well with using modern measuring devices in above standard equipped test center. Mentioned filters sets are selected by professional photographers to meet your daily needs in field during spring and summer, golden hour etc. – to set correct lighting conditions (ratio between bright sky/sun and darker landscape) or to naturally boost real colors in the sky during sunsets like purple, pink, orange or yellow tones, green or blue colors of landscape etc. without unwanted plasticity which is often visible during digital postproduction and software simulation of graduated filters (technique which is not suggested by most of professional landscape photographers).